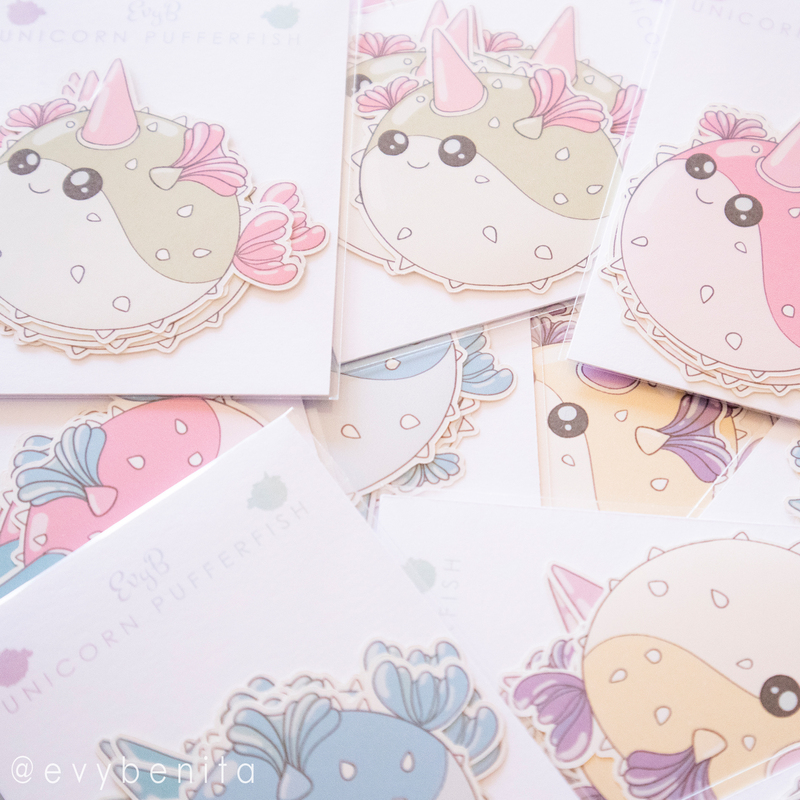 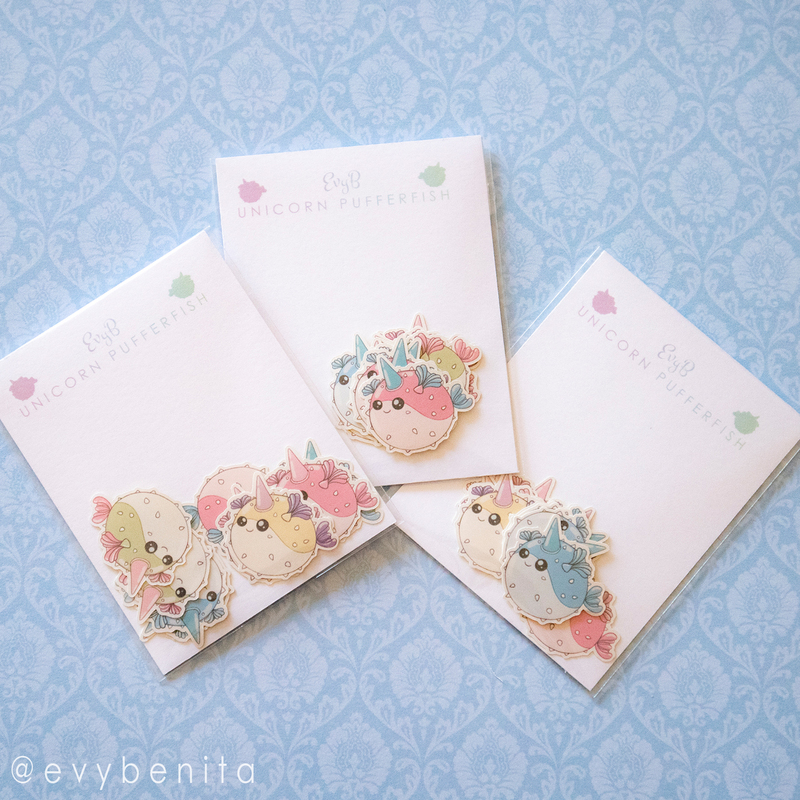 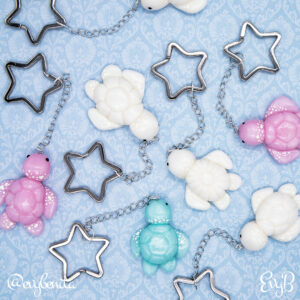 Utterly adorable kawaii unicorn pufferfish stickers in lovely pastel colors. 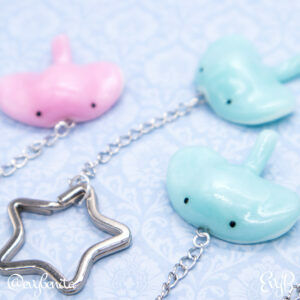 Many variations available. Unicorn pufferfish stickers by Evy Benita. 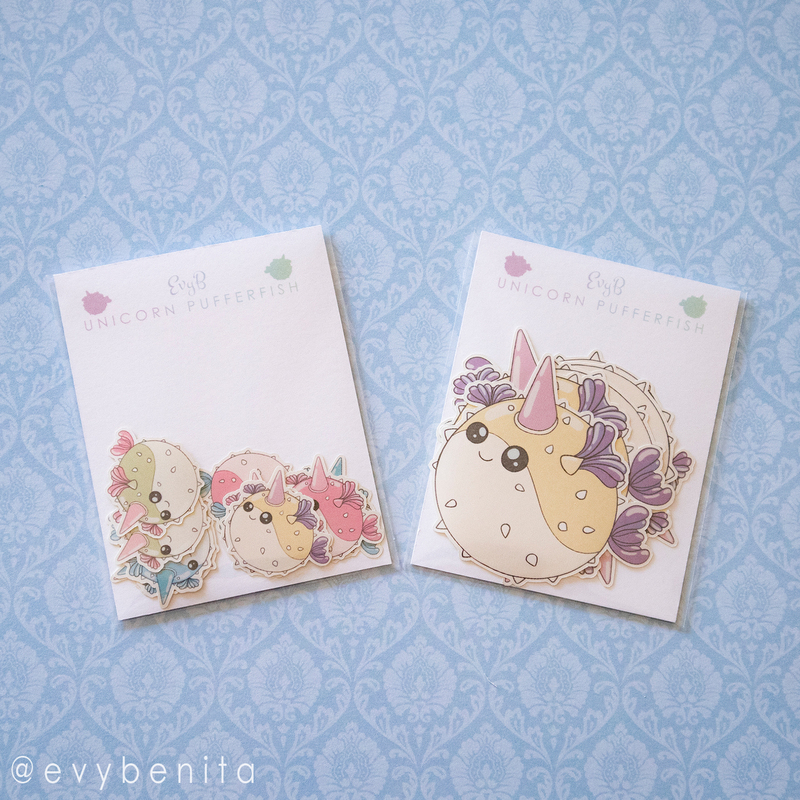 Utterly adorable kawaii unicorn pufferfish stickers in lovely pastel colors.